Wireless Charging for iPhones: Is It Safe or Not? It is hard to imagine life without our trusty iPhone. We rely on this tiny device so much when we are busy (i.e., answering calls, sending messages, browsing emails, etc.) and even when we are bored (i.e., checking social media feeds, watching videos, playing games, etc.). Simply put, this smartphone is all we could ever need to stay connected to the world. But then there is a trade-off: just like any mobile device, an iPhone easily runs out of battery life. More often than not, it is not enough to fully charge your iPhone just once for a whole day of use. There will always be the need to recharge multiple times in a day, whether you are a mobile gaming fanatic who plays graphics-intensive games for hours on end or an entrepreneur who needs to build a solid online presence for your business. This is where wireless charging comes very useful. It essentially transmits power from a charging pad to a mobile device through electromagnetic induction. Good thing there are wireless charging solutions from various companies, like Bezalel. 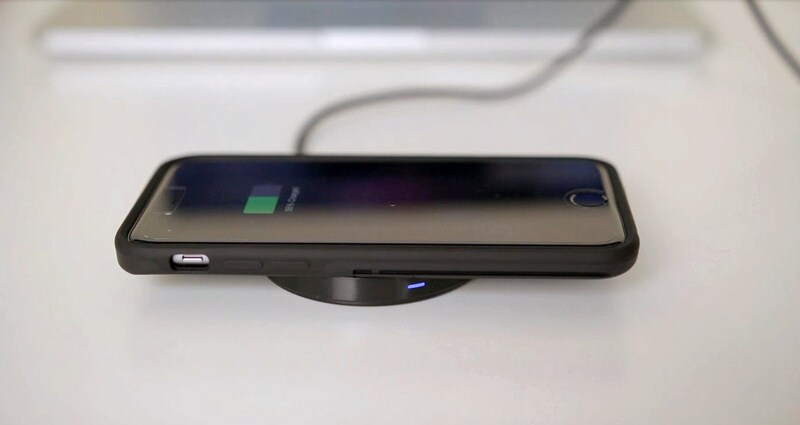 This technology makes recharging a phone more convenient because it does not require the use of wires and power outlets—you simply have to place your phone on the surface of a wireless charging pad and leave it there to charge. How does wireless charging work on iPhones? Since iPhones do not have built-in wireless charging capability, you will have to use a third-party accessory to make your iPhone compatible with Qi or PMA, which are the two standards used in wireless chargers. You can also recharge in several public areas (such as cafes, hotels, and airports) where wireless charging stations are available for free. Some car models even have wireless charging pads built in, which can be useful during long road trips. With a wireless charger in tow, you do not have to worry about forgetting your wired chargers and having to bring heavy power banks with you. Is wireless charging safe for iPhones? When it comes to health and safety, a common cause for concern is the effect of electromagnetic fields (EMF) emitted by wireless chargers. High levels of EMF pose health risks such as anxiety, depression, insomnia, and suicide. However, the EMF emission levels of wireless charging are negligibly low to have adverse health effects, as it does not require human contact to the charging pad. In fact, a study conducted by the World Health Organization (WHO) confirms that exposure to low EMF emissions does not lead to any health problem. If there is anything that you should be concerned about, it is the kind of wireless charger you have and how you use it. Buying a cheap, fake, and low-quality wireless charger seems to be a cost-saving option, but in reality, it is not. You will end up spending more in the long run when it damages your phone or its battery. Likewise, improper use of a wireless charger (not the charger itself) can be harmful to your iPhone. So make sure that when you use a wireless charger, it is well-ventilated to avoid overheating. Some wireless chargers automatically turn off when the phone is fully charged to prevent excessive heat on the charging pad, so that’s one less thing to worry about. Keep in mind that authentic devices are always the safest; the same goes for wireless chargers. Even though there are a lot of myths about wireless charging, it is still the safest alternative to juice up your device. It may take longer to charge than the traditional plug-in charging, but wireless charging eliminates the use of cords that can be messy and cause the user to trip over. In a nutshell, wireless charging for iPhone is definitely safe. With the proper use and care for your wireless charging pad, you will definitely make the most out of it. I guess this one timely post. I’m hearing rumors that the next iPhone 8 will have wireless charging features. But basically, it’s about time. I hope the Apple brand will innovate and move forward by having this feature in their units.